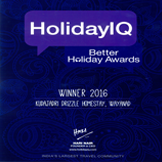 Proud to say "We have WON many AWARDS"
These awards are acknowledged as the standard bearer of outstanding achievements and recognition of Kerala tourism industry. 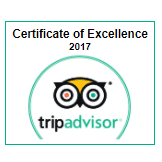 The excellence of our services has enabled us to achieve the following awards and recognitions. 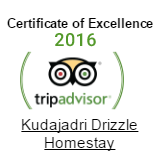 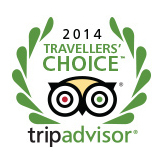 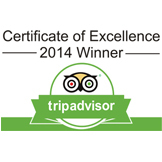 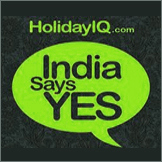 As you can see, no other Wayanad Homestay has ever been near to us in terms of such accolades. 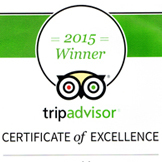 Not only is our tariff competitively priced, our facilities and activities are well worth every penny spent. 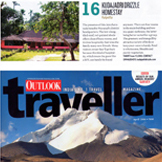 Our ideal location near to the many Wayanad attractions is also a reason why tourists prefer us. 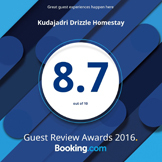 Please browse through our photo gallery to know what you can expect at Kudajadri Drizzle. 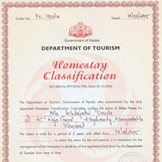 Use our online booking facility or contact us right away if you are planning for a vacation in Wayanad. 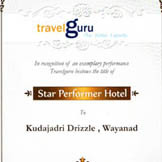 We make best Wayanad Tour Packages for IT groups, families and honeymoon couple at the lowest possible cost.